L.F. Crisp (1917-84) held an M.A. degree from the universities of Adelaide and Oxford, and was Professor of Political Science at the Australian National University from 1950 to 1977. 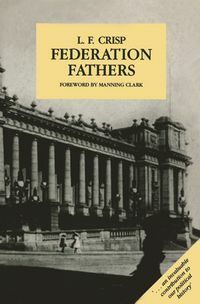 He was well known as the author of Parliamentary Government of the Commonwealth of Australia (1949), The Australian Federal Labour Party (1955), Ben Chifley (1955) and Australian National Government.